1. 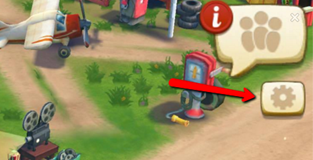 On your game screen, tap on the Gear Icon (Game Settings). 2. A popup window will appear. 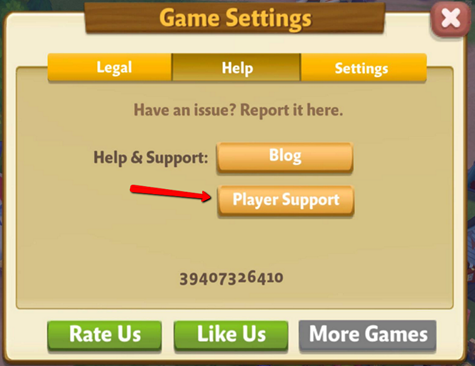 Under Help, tap on Player Support. 3. 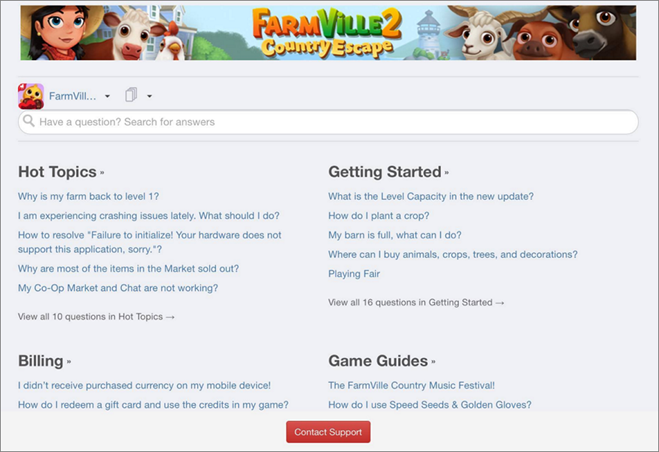 You will be prompted to the FarmVille 2: Country Escape Support page. If you cannot find an article that addresses your issue, tap on the red Contact Support button at the bottom of the page. 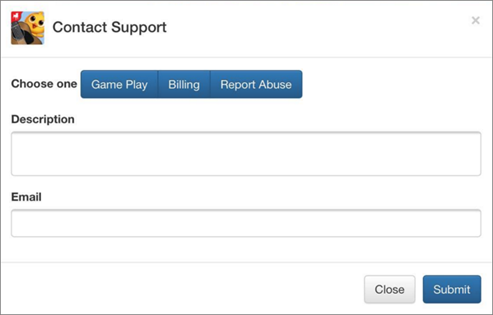 Make sure to double check your email address is entered correctly as the reply from the Customer Support team will be send to the entered email address. Please note: be as specific as you can and feel free to include all information regarding your concern, e.g. when did an issue occur, is it persistent, only happens after certain actions in game.